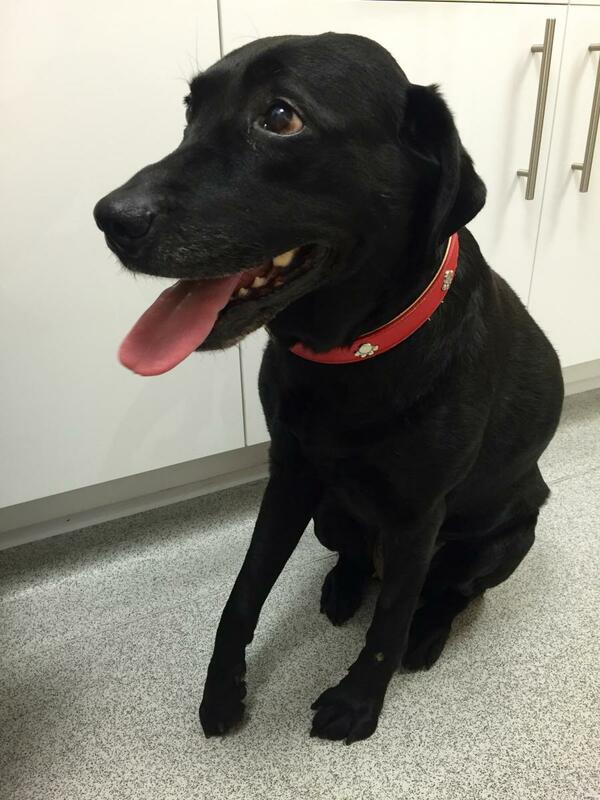 Chica is a nine-year-old female Labrador retriever, she first visited The Vet Liverpool on a Sunday morning. She had a bit of a disagreement with a moving car the evening before and was not able to use one of her front legs when she walked in to the clinic. She had been a bit lazy since her accident and wasn’t interested in food, which is very unusual for any Labrador! 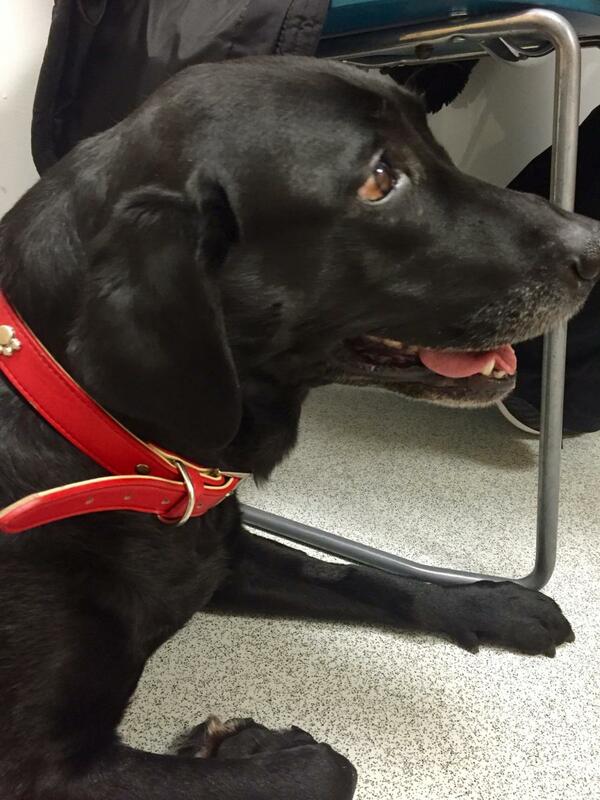 The team were concerned about nerve damage but couldn’t be sure if any of her bones were damaged too. They decided to anaesthetise Chica so that they could get her in the right position to take some x-rays and were relieved to find that her bones were fine, it was just her nerves that were damaged. Because we cannot see nerves on an x-ray, it was not possible to know the extent of the damage but there were clues to be found in her response to (or lack of) stimuli in her leg and even further afield such as the way that her pupil was responding to light. Nerves can take a long time to return to function, if at all. They were able to manage Chica’s pain in the short term but only time would tell if she would regain function in her leg. When they checked on Chica a couple of weeks later, she seemed perfectly comfortable and was managing to get on and off furniture and up and down stairs just fine on three legs. Her pupils had become closer to normal and she had regained sensation above her elbow but still is unable to feel or control her lower leg. Chica’s owners are performing physiotherapy to try to stop her muscles from wasting too much and are able to put a sock over her foot to protect it from damage. They will be keeping a close eye on Chica over the coming weeks and months to assess her for any return of nerve function.